Tue.-Sun. lunch 11:30 a.m.-2:30 p.m.; dinner Tue.-Thu. 4:30-9:30 p.m., Fri.-Sat. 4:30-10 p.m.; Sun. 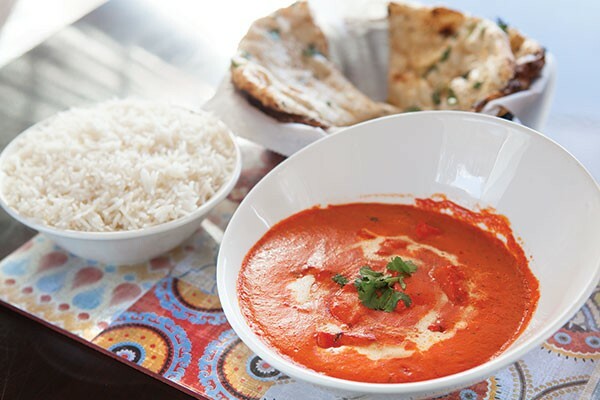 4:40-9 p.m.
Himalayas restaurant in Cranberry is a marriage of Indian and Nepalese cuisines — literally. A pair of doctors, one Indian and the other Nepalese, dreamed of starting a restaurant, but the necessary time investment led to the business becoming a family affair. The night we visited, a cousin was serving while a sister served as chef. The friendly, family-run ambience was palpable and most welcome on our first foray into Nepalese cuisine. 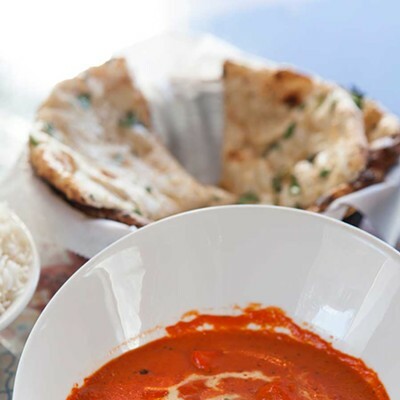 (The menu features plenty of Indian dishes, too, but we were there for a Nepalese dining experience, and managed to sample nearly everything on the Nepalese list.) This was the first time in a long time that we found ourselves navigating a menu without any frame of prior experience. But our convivial server was a worthy guide, sharing both general knowledge about Nepalese food (vegetables are always cooked; salad is anathema) and specifics about Himalayas' recipes and preparations. As geography might suggest, Nepalese cooking turned out to be recognizably related to that of both China and India, with the spicing leaning heavily toward the subcontinent. For instance, Himalayas' chow mein — a dish of thin noodles sautéed in a sauce with super-tender morsels of dark meat chicken — looked like a Chinese stir fry, but the flavor was completely different from Chinese chow mein. The sauce that unified the ingredients was savory and slightly sweet, with just a hint of chili-based spice. Our starters were more reminiscent of India, but a number were nonetheless distinctive. 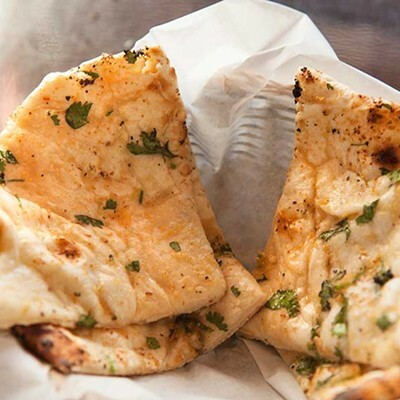 For instance, the interior of a samosa was bright green from mint blended into the creamy, mashed-potato-like filling. Vegetable pakora — fritters — were the best we've had at any restaurant, Indian or otherwise, with just enough batter to hold together just-cooked vegetables and chopped greens. Best of all was the texture, with well-fried, crispy crags formed by the rustic mix of ingredients. Strips of chicken and paneer (cheese) came coated in a chickpea-flour-based batter that was puffy and golden, like beer batter; some had a reddish hue that suggested a dash of hot sauce had been added. Hot sauce came on the side with a bowl of noodle soup, allowing us to customize the fieriness of its flavor. The broth, though aromatic with fresh herbs, benefited from the salt as well as the spice of the mixed-in sauce. 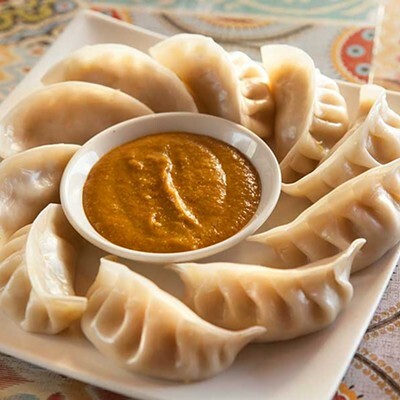 A staple of Nepalese food is momos, large dumplings with a variety of fillings served steamed or fried. Chicken is a standard version, and the vegetable selection at Himalayas changes according to the mood of the maker. We found the wrappers to be exceptionally tender, like good pasta rather than an obligatory casing for the goods within. 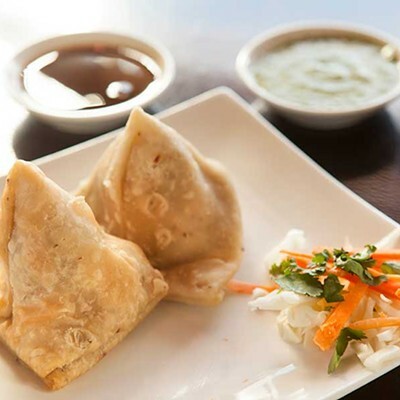 Our chicken momo featured moist, tasty meat studded with a bit of crunchy vegetable. We ordered it bathed in a chili sauce whose flavor was distinctive and addictive: It started out sweet, even fruity, but developed a late bloom of spice on the palate. Even at a table overburdened by dishes, it was hard not to keep coming back to this one. The vegetarian momo the night we were there was filled with minced onions, cooked very soft, in an intensely flavorful blend of warm spices, almost like a savory chutney. Playing against this, the nuttiness of the ground sesame "momo chutney" dipping sauce took on another dimension: With each dumpling, we scooped up more chutney, savoring the interaction of the tender wrapper, creamy chutney and faintly crunchy, barely spicy onions. While each of the components was familiar — dumplings, onions, sesame — it was a rare treat to experience them composed into an utterly novel taste experience. Though hot dishes are the norm in Nepalese cuisine, one exception on Himalayas' menu was the aalu ko achar. This was texturally similar to an American potato salad (minus the mayo), but the cucumbers were pickled in sesame-lemon paste, and hot red chilies burned away any notion of bland picnic food. 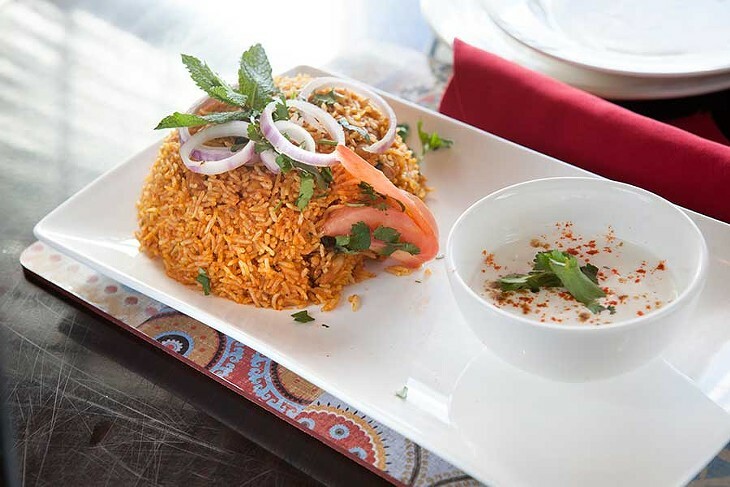 A hearty hot potato dish, aalu dam, featured chunks of tender potato in a thick, chili-spiked sauce studded with an array of spices, including such treats as whole onion and mustard seeds. Himalayas was an excellent introduction to a cuisine we hope to get to know better. Our only regret is that we were too stuffed with noodles, potatoes and momos to try Himalayas' Black Forest cake, a confection apparently wildly popular in Nepal. Still, the food of Nepal is now wildly popular with us.